Fall is here which means Mini Sessions are back! Leaves are changing and before you know it the holiday to-do list will begin. Get a jump-start on holiday cards and gifts with a fall portrait session, there is no more unique gift then art created just for your family! Gather the whole family or just the children to join in the fun! $99 for a 20 minute session, includes one hi-res digital image chosen from 20 proofs. *Additional files and print products available for purchase at your preview session. Use your image for a Thanksgiving Invite, "I'm Thankful for..." post, Holiday Greeting Card or eCard, or simply decorate your home for the holiday season! 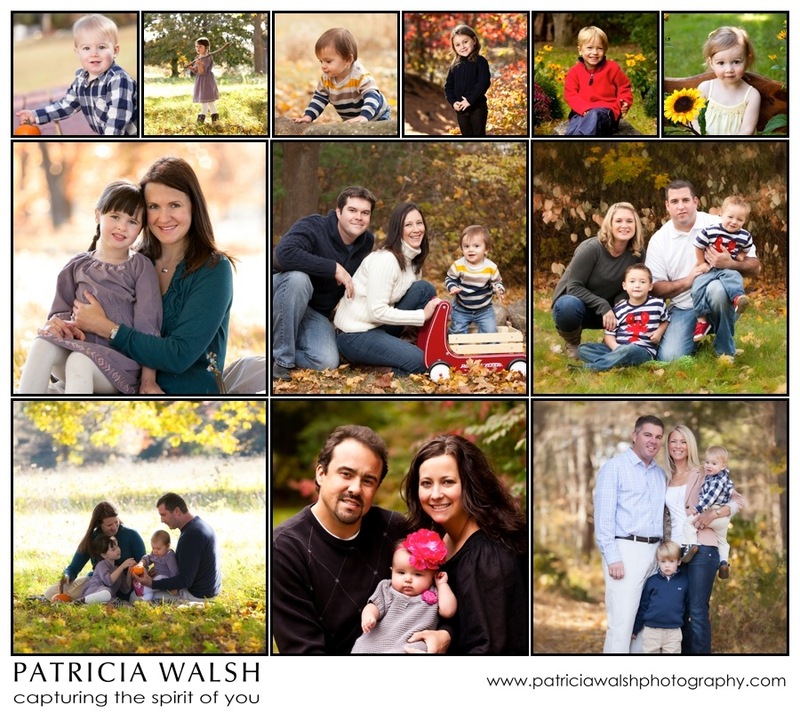 Let Patricia Walsh Photography capture your family together and custom design art to showcase your family in our home. Full sessions are available to book through the Fall season, as well. Do you have a location that is special to you, want the background of your beloved home or custom design a session to coordinate with the interior of your home. Showcase the people that mean the most to you - the smiles that fill your lives with joy!